In this episode I speak with best selling author, activist, and speaker, Glennon Doyle. Glennon Doyle is the author of the #1 New York Times Bestseller LOVE WARRIOR, a 2016 Oprah’s Book Club selection, as well as the New York Times Bestseller CARRY ON, WARRIOR. She is the founder and president of Together Rising, a nonprofit organization that has raised $15.5 Million for women, families, and children in crisis. Glennon is an activist, speaker, and thought leader who believes that a Love Warrior's journey is to rush toward her pain and allow her pain to become her power. She lives in Florida with her wife and three children. Follow @glennondoyle to experience Glennon's hilarious and unapologetic writing about parenting, mental health, addiction, recovery social justice, faith, and connection. In this episode, I speak with author, birth doula, and wellness maven, Latham Thomas. After giving birth to her son Fulano in 2003, Latham Thomas set out on a mission to help women reclaim birth. A graduate of Columbia University & The Institute for Integrative Nutrition, Latham is a maternity lifestyle maven, world renown wellness leader and master birth doula on the vanguard of transforming the wellness movement. Named one of Oprah Winfrey's Super Soul 100, Latham is bridging the gap between optimal wellness, spiritual growth, and radical self care and is the go-to-guru for modern holistic lifestyle for women. She authored the bestselling book titled, “Mama Glow: A Hip Guide to a Fabulous and Abundant Pregnancy”, foreword by Dr. Christiane Northrup in 2012 and most recently published bestseller OWN YOUR GLOW: A Soulful Guide to Luminous Living and Crowning the Queen Within. Latham serves on the TUFTS University Nutrition Council and is also a member of the Well + Good Council where she provides expertise in women's wellness, pregnancy and self-care. In March of 2018, Latham released the meditation audio program, BEDITATIONS: Guided Meditations and Rituals for Rest and Renewal. She teaches at universities and teaching hospitals around the country, helping to improve the patient labor and delivery experience. In this episode, I speak with political creative, Sassy Latte. Sassy Latte incorporates their love of makeup and fashion into their social justice work by juxtaposing hyper feminine, glamorized, and provocative photos with thought-provoking, political captions to encourage discussions regarding intersectional feminism and body politics. In other words, Sassy believes that the worlds of intellect, politics, and fashion/makeup can co-exist and empower one another. 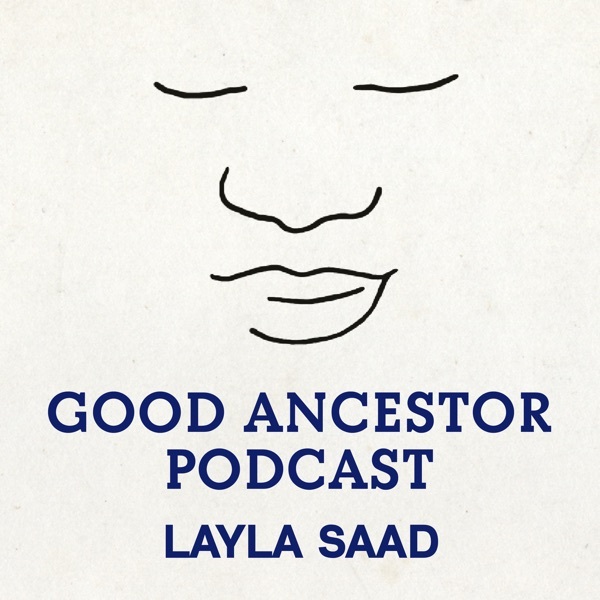 In this episode I speak with writer, curator, and speaker Lachrista Greco. Lachrista Greco is the creator of Guerrilla Feminism and The Guerrilla Feminist. She is a writer, speaker, curator, and maker. Lachrista is a cis, white woman who writes and speaks about feminism, digital activism, sexual violence, learning disabilities, sexual health, and more. She has an M.A. in Women's & Gender Studies, and is currently pursuing a second Master's Degree in Library and Information Science. In this episode I speak with feminist, author, and press director, Jamia Wilson. Jamia Wilson is the director of the Feminist Press. Wilson has contributed to The New York Times, Rookie, Refinery 29, Glamour, Elle, The Today Show, CNN, BBC, and more. She is the author of Young, Gifted, and Black and wrote the oral history in Together We Rise: Behind the Scenes at the Protest Heard Around the World. She co-authored Road Map for Revolutionaries: Resistance, Advocacy, and Activism for All. The former Women, Action, and the Media Executive Director, TED Prize Storyteller, Planned Parenthood Federation of America youth organizer, and former Vice President of Programs at The Women’s Media Center. Her most recent book for youth is Step Into Your Power: 23 lessons on how to live your best life which will be released on March 5, 2019. In this episode, I speak with wealth and success coach, Dr. Frantonia Pollins. Dr. Frantonia Pollins, affectionately known as The First Lady of Empowerment, is the founder & CEO of The First Lady Lifestyle & Leadership Academy, an exclusive membership movement which offers the ultimate in business mentoring and life coaching services designed to empower 1,000,000 women worldwide to conquer their fears about money & wealth; inspire them to discover their own uniquely Divine & powerful purpose on the planet and guide them as they create successful businesses that will transform the world and leave a multi-generational legacy of wealth. As a wealth & success coach to thousands of women around the world, Frantonia’s goal is to be your personal guide on your journey from being a woman burdened by D.E.B.T. to that of one who is TRULY living a life of Wealth, Freedom & Purpose. In this episode, I speak with womanist scholar and activist EbonyJanice Moore. EbonyJanice Moore is a Hip Hop Womanist, scholar and activist doing community-organizing work, most specifically around black women’s body ownership as a justice issue. She is the founder of Black Girl Mixtape, a multi-platform lecture series created to center and celebrate the intellectual authority of black women. She founded BGM Institute, an online school offering classes that center POC - doing the work of decolonizing education and offering coaching and consulting that is decolonizing authority. Her research interests include issues pertaining to blackness, woman-ness, and spirituality - most specifically black women's use of spirit, conjure, and/or the supernatural as a tool to impact social justice, and the pluralism of Black Christianity and the interconnectedness of the Southern Black Christian experience with Indigenous African religions and African Spirituality. EbonyJanice has a B.A. in Cultural Anthropology and Political Science, and a Master of Arts in Social Change with a concentration in Spiritual Leadership, Womanist Theology, and Racial Justice. She is the host of the Black Girl Mixtape Podcast, Rap Theology Podcast, and has a webseries called #PreachEb. In this episode, I speak with author Austin Channing Brown. Austin Channing Brown is a leading new voice on racial justice, and author of I’M STILL HERE: Black Dignity in a World Made for Whiteness. Austin is committed to exploring the intersections of racial justice, faith and black womanhood. Her workshops are one of a kind, infused with justice, pop culture, humor, and truth-telling. Her first book released in May 2018, shot to the top 20 of Amazon's bestsellers list. For months it has continued to sit in the top 20 in “Christian Social Issues” and “Memoirs of Social Activists”. IM STILL HERE has received acclaim from Kirkus, Publishers Weekly, Booklist, and a host of other reviewers. Even Chelsea Clinton and Brene Brown have tweeted about this memoir. IM STILL HERE has been featured in Religion News Service, On Being, The Chicago Trib, Shondaland, Popsugar, Relevant, BitchMedia, WNYC and more. Austin is excited to unpack the themes of IM STILL HERE with her passionate readers. Her writing can also be found in Sojourners Magazine, Relevant Magazine, and other places around the web. Austin attended North Park University where she earned a degree in business management. She also has a masters degree in social justice from Marygrove College in Detroit, MI. Since earning her masters, Austin has worked with nonprofits, churches, and universities for the advancement of racial justice and reconciliation. Austin lives in Grand Rapids, MI with her husband, son and very spoiled puppy (who made an appearance on the podcast!). In this episode, I speak with social justice activist & writer, Rachel Cargle. Rachel Cargle is an activist, writer, and lecturer. Her activist and academic work are rooted in providing intellectual discourse, tools, and resources that explore the intersection of race and womanhood. Her social media platforms boast a community of almost 180k people where Rachel guides conversations, encourages critical thinking and nurtures meaningful engagement with people all over the world. Rachel is also a dynamic entrepreneur. Her organization The Loveland Group houses a family of companies that are dedicated to lifelong culture, opportunity, and learning. Rachel is currently living in NYC and attending Columbia University where she is studying anthropology and women's studies.